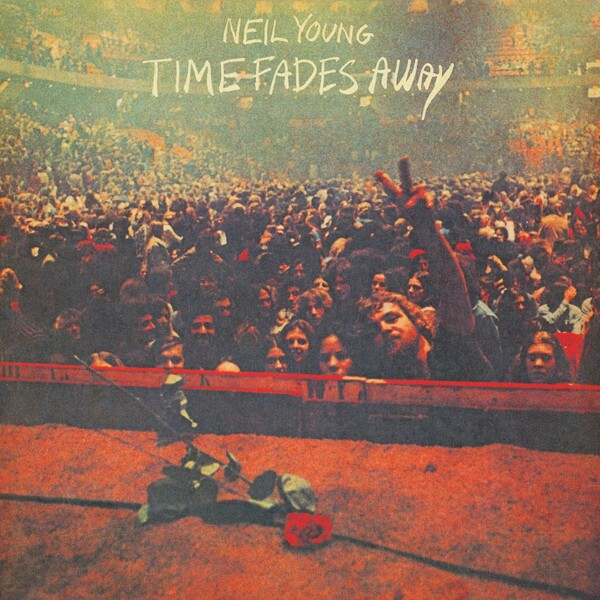 A bold, emotionally naked snapshot of the against-the-grain attitude embraced by Neil Young as he channeled the troubled moods of the mid-1970s, Time Fades Away serves as Young's first live album comprised of previously unreleased material recorded with the Stray Gators while on his Harvest tour in 1972. 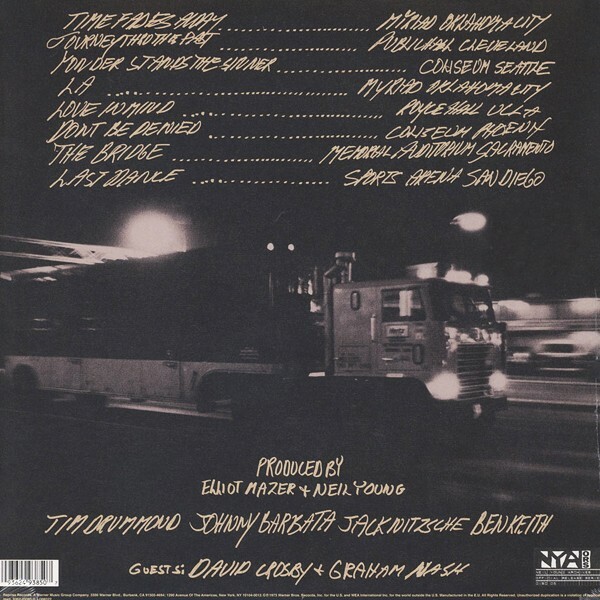 Neil Young's first live album, released in 1973, consisted of previously unreleased material and was recorded with The Stray Gators during the tour following the 1972 release of Harvest. The album cover photo was taken by Joel Bernstein at the Philadelphia Spectrum on either January 26 or 27, 1973. 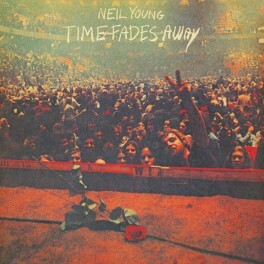 A bold, emotionally naked snapshot of the against-the-grain attitude embraced by Neil Young as he channeled the troubled moods of the mid-1970s, Time Fades Away serves as Young's first live album comprised of previously unreleased material recorded with the Stray Gators while on his Harvest tour in 1972. Out of print on vinyl for decades, it is here restored to newfound sonic peaks on an audiophile pressing mastered from the original master tapes. Unprecedented at the time for an artist to release a live recording of previously unreleased songs, the rough-and-tumble Time Fades Away was captured in the wake of the overdose of Crazy Horse guitarist Danny Whitten and at the height of Young's fame. It finds the singer/songwriter undergoing a deep catharsis which is palpable throughout. In typical Young fashion, brilliant songs like "L.A." and "Don't Be Denied" emerge amidst the courageousness, looseness, and impromptu chaos. Young on the album: "It was recorded on my biggest tour ever, 65 shows in 90 days. Money hassles among everyone concerned ruined this tour and record for me but I released it anyway so you folks could see what could happen if you lose it for a while. I was becoming more interested in an audio verite approach than satisfying the public demands for a repetition of Harvest."